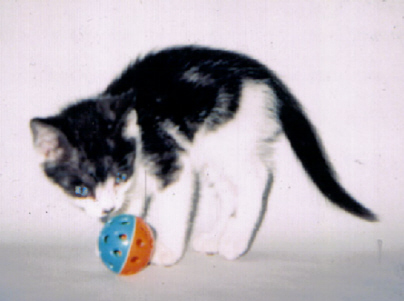 This is probably the cutest feral we ever fostered: gorgeous blue eyes, and even as a tiny kitten, she loved to pose. I called her pansy. She found a home with a SF Opera employee, and predictably, became a huge, adored, diva.